At City Eyes we fit and supply Wave contact lenses for post LASIK patients, and those who have distorted or irregular corneas. Using corneal shape data from the Keratron family of topographers, Wave contact lens specialists use software to quickly design a custom gas permeable contact lens that nearly mirrors the cornea for the most precise and comfortable fit available. Wave contact lenses, following the shape of virtually any cornea, are available as single vision, front surface multifocal, toric or bi-toric lens or orthokeratology (with or without a toric periphery). Wave contact lenses can also be very useful in treating corneal surface irregularities and after corrective laser eye surgery (LASIK), to correct vision when regression occurs. 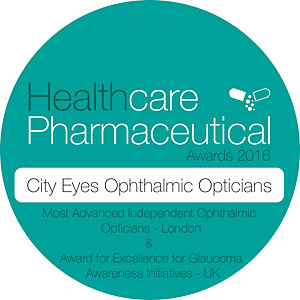 At City Eyes we are proud to be accredited WAVE specialists and we’ve successfully fitted wave lenses for Ortho K overnight correction, after LASIK Eye Surgery and as routine single vision or multifocal lenses.